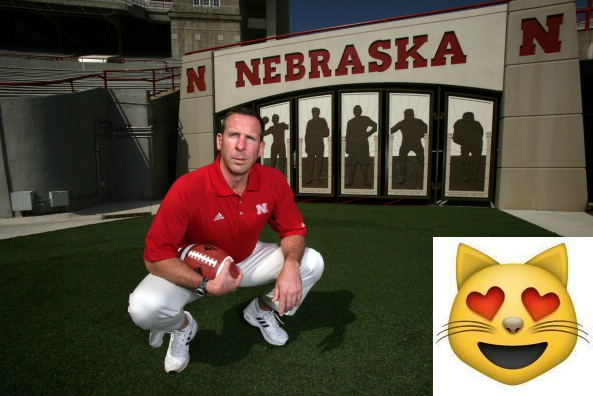 After tasking a team of forensic experts with reviewing the iPhone keystroke patterns of 10 of the country’s highest-profile college football coaches, we were able to determine their emoji counterparts. Our findings will change the way you consume the sport, so please proceed with caution. Yet art and artist rarely meet. 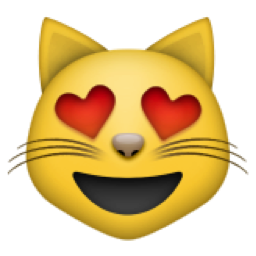 We seldom hear about a coach’s emoji game, which is particularly puzzling given how much texting the profession involves. 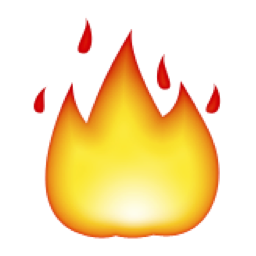 You’d think Lou Holtz and Mark May would incorporate emoji analysis into every segment, but you’d be wrong. Thankfully, Grantland is here to help. 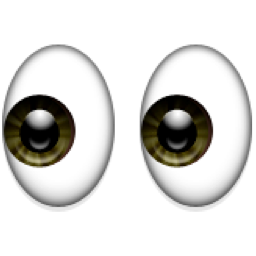 After tasking a team of forensic experts with reviewing the iPhone keystroke patterns of 10 of the country’s highest-profile coaches, we were able to determine their emoji counterparts. 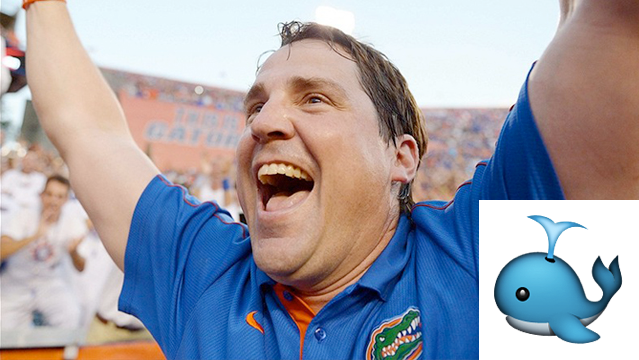 Our findings will change the way you consume college football, so please proceed with caution. 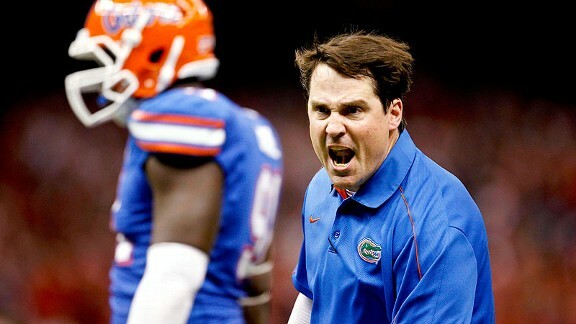 If there’s one thing Muschamp can do, it’s emote. 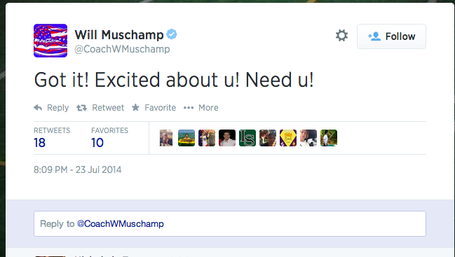 If there’s one thing Muschamp needs to work on, it’s communicating more effectively. Exhibit A: the tweet that inspired this exercise. What constitutes high art in college football? Is it Gus Malzahn’s trippy spread offense? Eastern Washington’s blood-soaked field? Wednesday night MACtion with family and friends? Hoke, who’s spent the majority of his time at Michigan trying to fit collegiate pegs into pro-style holes, occupies perhaps the hottest seat in college football. 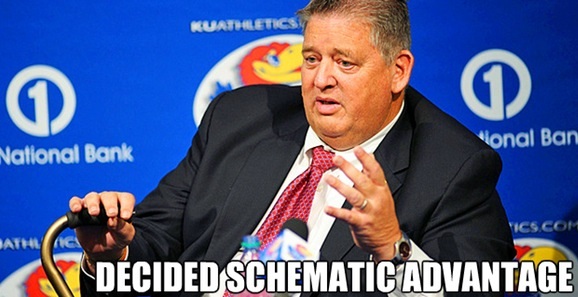 Charlie Weis would call this a decided schematic advantage, but the January dismissal of offensively challenged offensive coordinator Al Borges seems to indicate that Hoke is feeling the pressure. Doug Nussmeier, the unquestioned architect of Alabama’s 2012 national title team, is in, and quarterback Devin Gardner is back (and refusing to ditch that unsightly no. 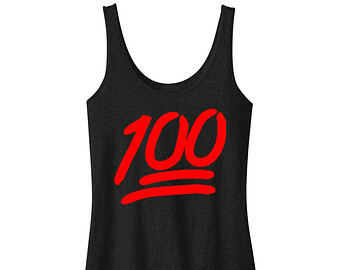 98 jersey). Apparently Hoke doesn’t think that’s going to be enough, because he’s already laying the groundwork for five-star cornerback Jabrill Peppers to play on offense, and summer camp hasn’t even started yet. 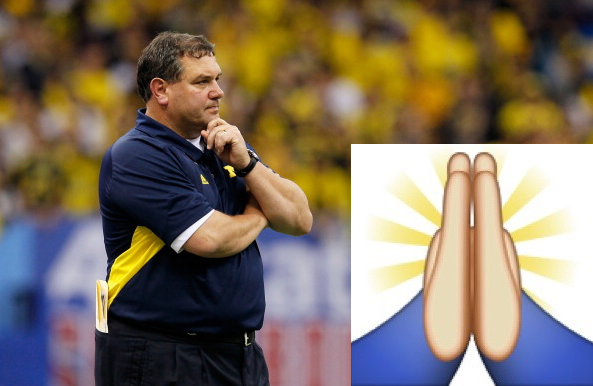 It stands to reason, then, that Hoke has been using the prayer hands emoji a lot lately. And it seems to be working: Just look at the unbelievably shredded abs God has given to Hoke’s potential cornerback-tailback hybrid. 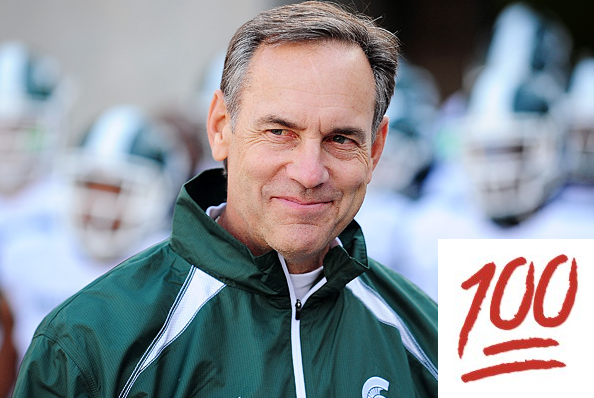 This is probably how the Peppers-Hoke exchange went, right? 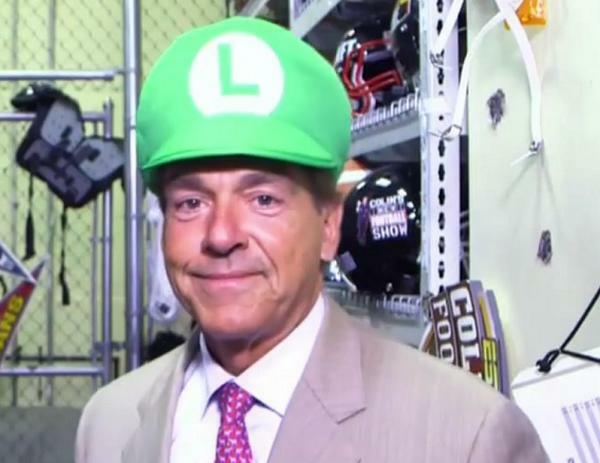 At SEC media day, Saban gave his usual spiel about the need to legislate fast-paced offenses out of college football, citing “injury concerns” and the impending obsolescence of defensive head coaches. Over at Pac-12 media day, Rodriguez was having absolutely none of it. 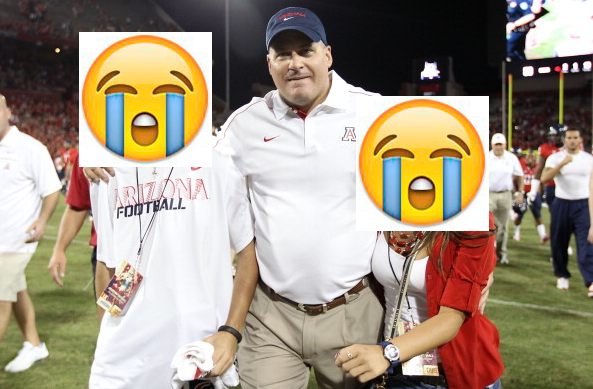 Rich Rod on Saban saying fast pace takes defensive coaches from game: “Cry me a river. 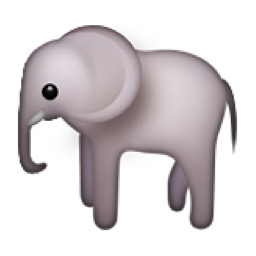 No one comes to games to watch defensive coaches"
While Saban might not be willing to cry RichRod a river, there’s thankfully an emoji for that express purpose. I bet it’s also got West Virginia roots. As in, his buyout is how big? 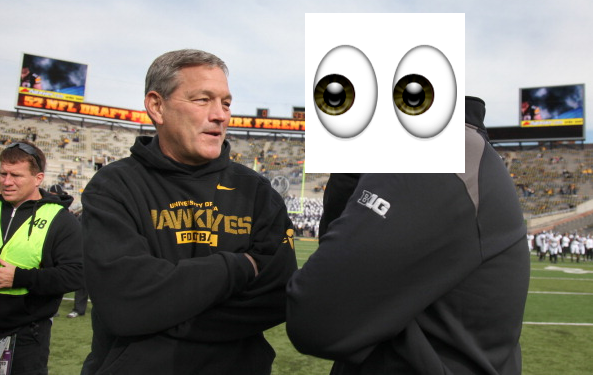 The flabbergasted eyes emoji is the only reasonable response to Ferentz’s gargantuan contract. 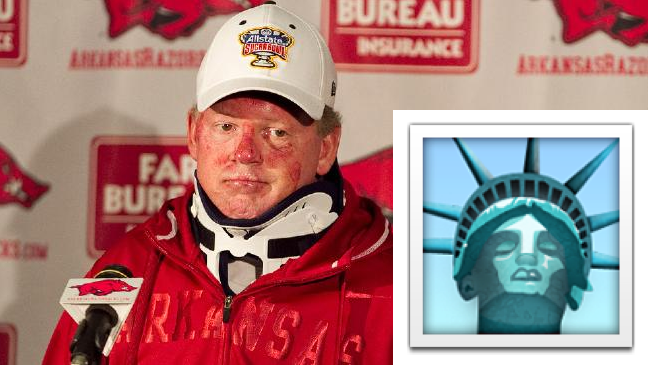 Just as Lady Liberty once represented refuge from the poverty and oppression of the Old World, Petrino has quickly turned Louisville into a beacon of hope for college football’s wayward souls. This offseason, he netted an impressive trio of exiled SECers: former Georgia defensive backs Shaq Wiggins and Josh Harvey-Clemons, and former Texas A&M wideout JaQuay Williams. Considering Petrino’s utter lack of scruples, this trend will inevitably result in Louisville seceding from the ACC and joining a Longest Yard–style prison league before long. 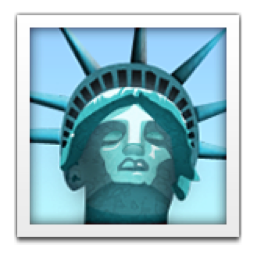 So, yeah, Petrino totally embodies the Statue of Liberty emoji. Week 3: Strong sends his entire special teams unit packing after backup long snapper Kyle Ashby commits a false start in the fourth quarter of a 51-0 win over UCLA. Week 6: Strong deports quarterback Tyrone Swoopes and receiver Jaxon Shipley to an undisclosed location after they are seen on Instagram devouring deep-fried Oreos at the Texas State Fair. 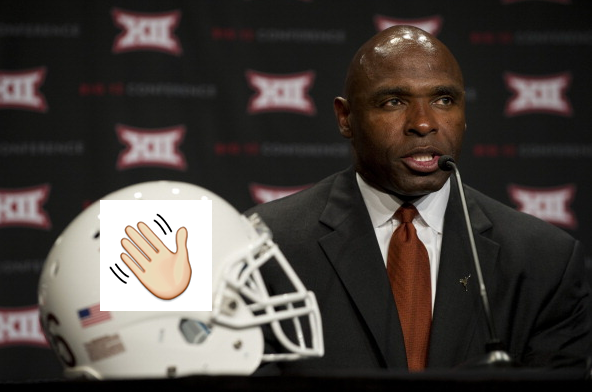 Week 9: Down to 11 players, the bare minimum required by NCAA standards, Strong decides to stop playing offense altogether, because that’s just not Texas football. Texas Tech is still unable to stop Malcolm Brown, who suits up at cornerback and accumulates 250 yards on interception returns. January: In the College Football Playoff final, but without any players, Strong gets creative and fields a team of emojis to take on top-ranked Florida State. 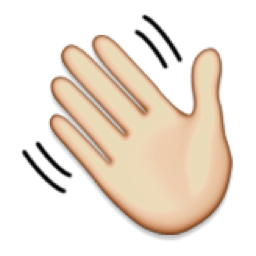 The hand-waving emoji, which was used throughout the season to formally banish players from Austin, bats all of Jameis Winston’s passes to the ground and earns MVP honors. “That boy’s a true competitor,” gushes a beaming Strong. 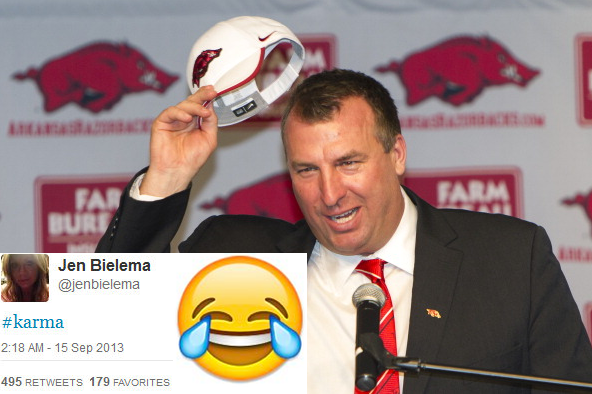 This one’s actually about Jen Bielema, Bret’s wife. Quick refresher: Last September, Bret’s former team, Wisconsin, lost to Arizona State due in large part to some objectively horrendous officiating. Jen was clearly amused by the spectacle and suggested in a legendary, since deleted tweet that karmic justice played a role in the game’s result. Her husband’s new team, Arkansas, then 3-0, proceeded to finish the season on a nine-game losing streak. Obviously the losses and controversy could have been avoided if Jen had simply included the laughing tears-of-joy emoji in her tweet. In addition to being genuinely funny, it would have signified she didn’t actually think the laws of karma governed nonconference play. 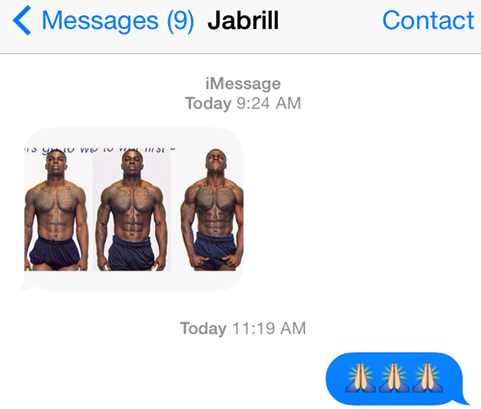 Sometimes an emoji can make all the difference. 2014 may well go down as the year of Big Game Bob. Between embarrassing Alabama in the Sugar Bowl, landing a human basilisk in Dorial Green-Beckham, and calling out Saban on the mother ship, Stoops has been a man on fire. It’s natural to wonder whether his hot streak can continue, but honestly, does it matter? 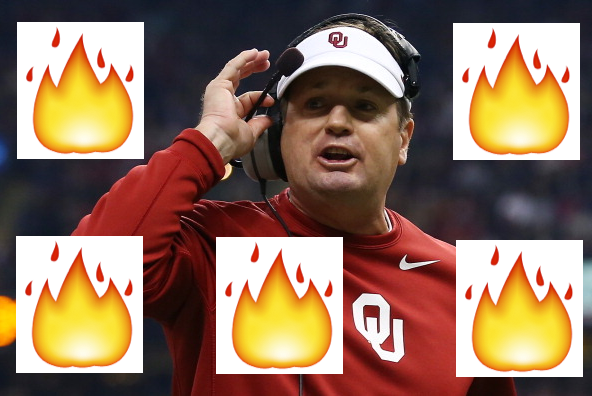 Just cherish the moment by tweeting an endless stream of fire emojis at @OU_CoachStoops. He’ll surely appreciate it.